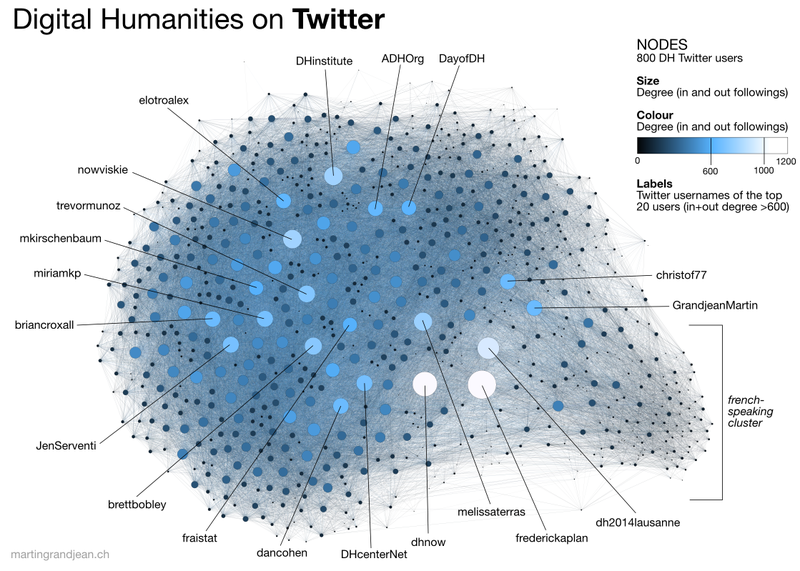 Martin Grandjean » Digital humanities, Data visualization, Network analysis » The Digital Humanities network on Twitter: Following or being followed? Share the post "The Digital Humanities network on Twitter: Following or being followed?" 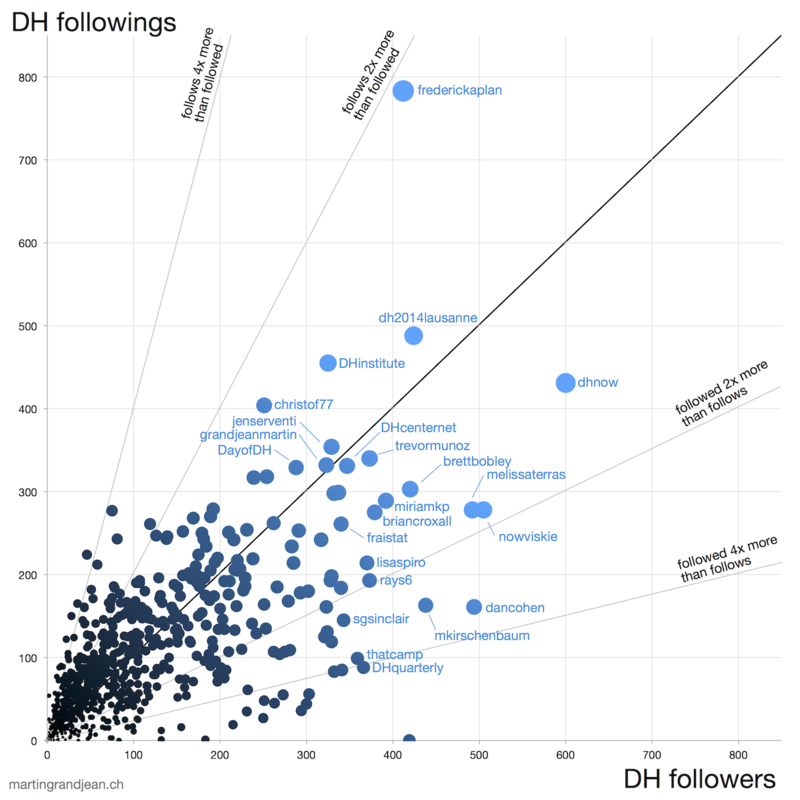 Who’s following who in the digital humanities network ? Usually at the forefront in the use of digital tools, the representatives of this area of research use Twitter to share and communicate. This post provides an outline of “friends/following” relations in a group of 800 digital humanists on Twitter, from a quantitative point of view. This approach offers a different perspective on this very specific scientific field. The graph below shows the dense “following” network of 800 digital humanists. > Update: A complete version with all names is available here. As the first graph showed the in+out degree of the nodes, it is interesting to look more specifically at the followings/followers ratio. Who’s in the list ? The list contains 800 accounts manually identified as members of the “DH community”. The data analyzed here were compiled in the days that followed the international DH2014 conference. Analyze yourself the content of the tweets posted by members of the list, etc. 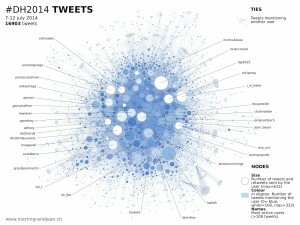 Twitter Networks: Static or Dynamic? Acknowledgements: Thanks you to @orkkaphly for his precious help in data processing.